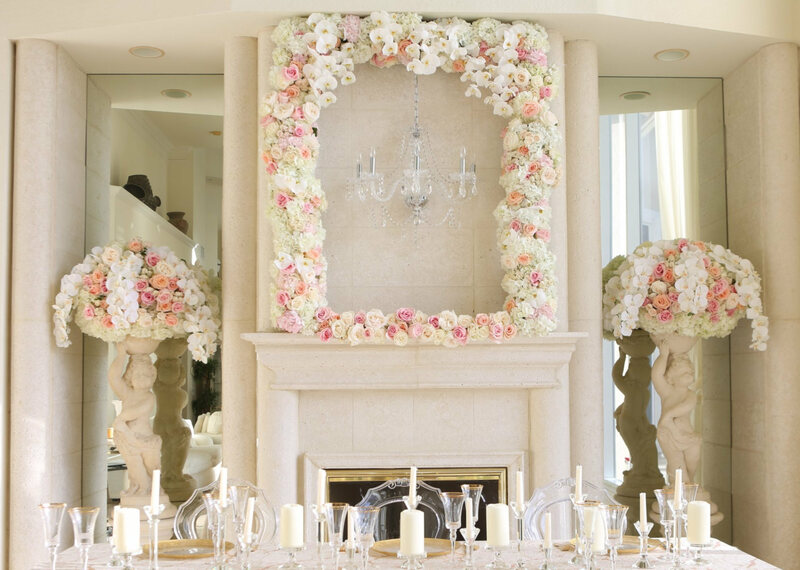 On the day of your wedding it is natural to have your entire house decorated because in this way you pinpoint the importance and the festive nature of the event. If you have a fireplace, you should definitely accentuate its presence in the setting by using the proper decorations to embellish it. If you leave it as such, you might create a cool, uninviting atmosphere, but if you adorn it for the occasion, you will obtain a beautiful visual effect. The mantelpiece should be covered in tulle or organza and you can even let some fabric fall over the margins of the mantel. Tying it with satin ribbons will give the whole appearance a touch of elegance. But no decoration is complete without flowers so these should not miss from the fireplace mantel. Because white is the main color used in weddings you should incorporate it in your flower arrangement. 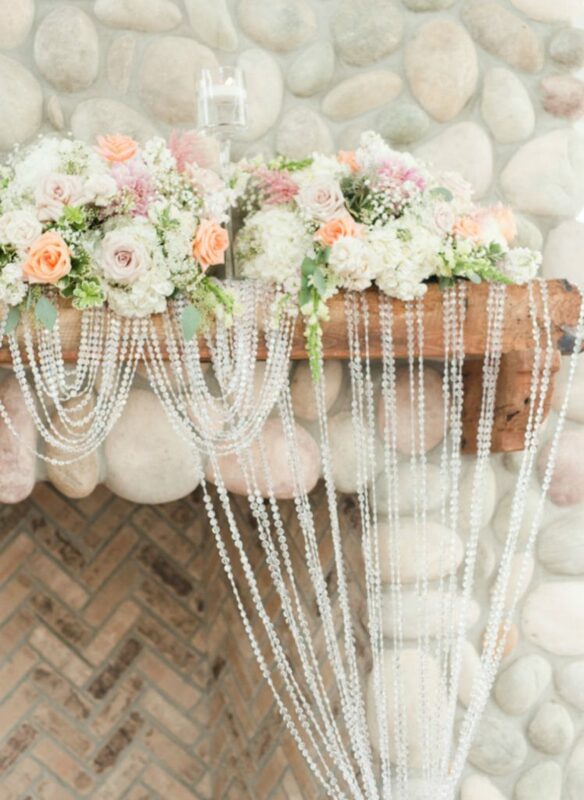 A cluster of white roses or calla lilies can be used to incorporate the mantel into the wedding décor. However, you need a splash of color amid that wide mass of white so you should pick a vibrant tone that can make the whole arrangement stand out. Every bride has a preference when it comes to the flowers used on her wedding day, both in the bridal bouquet and the flower arrangements used for decoration purposes. If you already have your mind settle on a particular flower, you should choose the same bloom to ornate all the rooms. Those that use different types of white fabrics on the mantelpiece, decide to add red or orange flowers to the arrangement. This makes the setting more vibrant and is pleasing to the eye. For a more appealing adornment, you should consider adding a couple of candles in between the flowers, but not too many so as to avoid crowding the elements. If you prefer to keep it simple, you can club flowers into one vase and place it in the middle of the mantel, this representing the focal point of the scenery, and you can add smaller items around the flowers. Votive candles can be used in this regard and you can sprinkle the mantelpiece with a couple of flower petals so as to create a more romantic décor. Wedding flowers for fireplace make a beautiful decoration of your living room, at the same time keeping in your mind the memory of a day that has got you close to the beloved one, the same one who is sitting now on the sofa with the eyes staring at the flowers, lighten up by the fire burning inside the fireplace and by the memories that with their everlasting life make the irises of his eyes sparkle with joy and satisfaction.